DESCRIPTION: The Redwood cabin was built with special attention to detail and unmatched cabin elegance, insuring the most relaxing and satisfying escape possible. Whether are celebrating a special occasion and wanting to treat youselves to something very special or you just need a cool place to get away from the daily grind, Redwood will meet and exceed expectations. 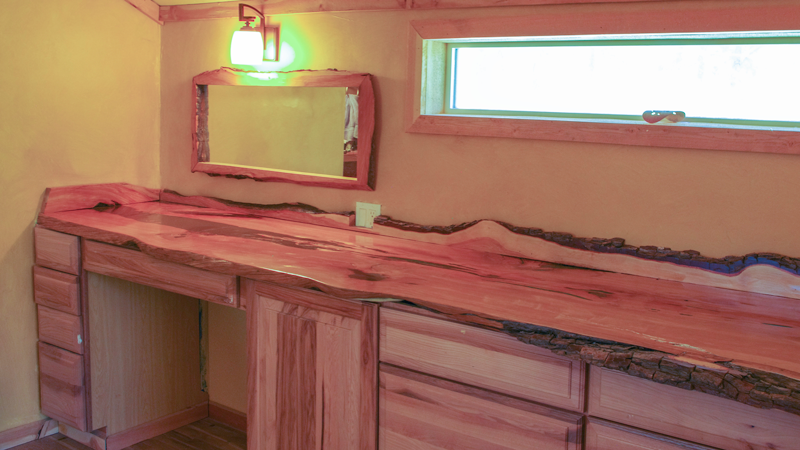 This cabin has a very warm and cozy feel with lots of windows making it the perfect romantic getaway. 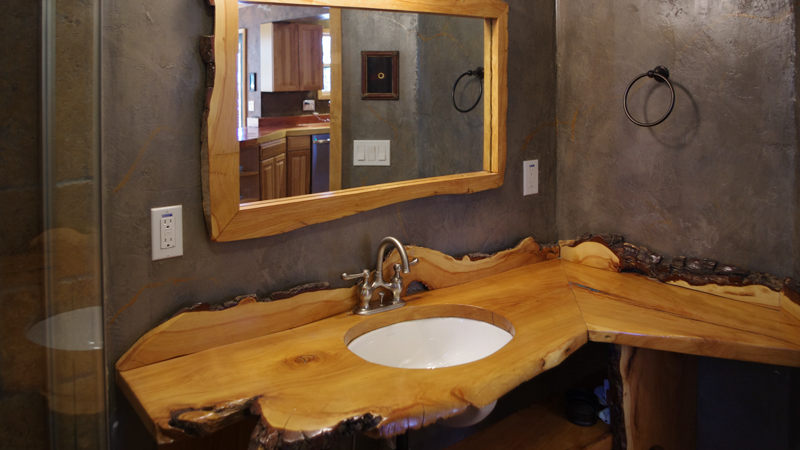 From the wimsical paint finishes to the exquisite woodworking throughout you'll find the many special touches very pleasing. Take a relaxing soak in the full size 2 person lounging Whirlpool over a coffee in the morning to get your vacation started. 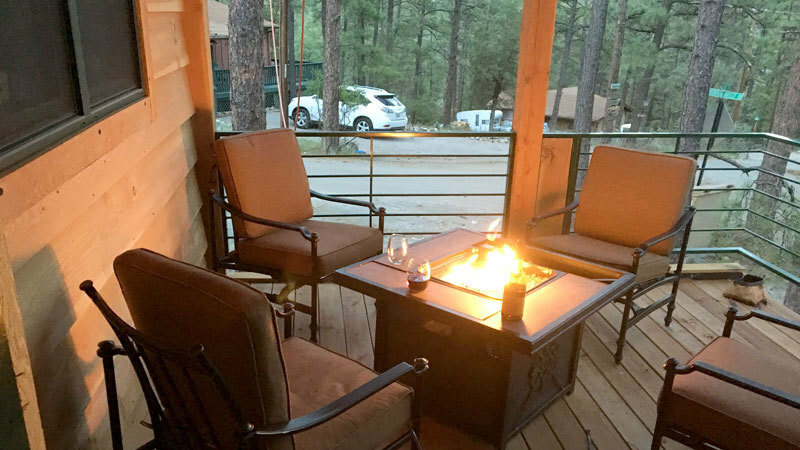 After a day on the links, the slopes, or any of the many other pursuits available to you in beautiful Ruidoso, grab a refreshing beverage and relax in the private Outdoor Hot Tub. You can stroll down to the Rio Ruidoso River for a relaxing nature walk or take a rod and test your luck at catching dinner. 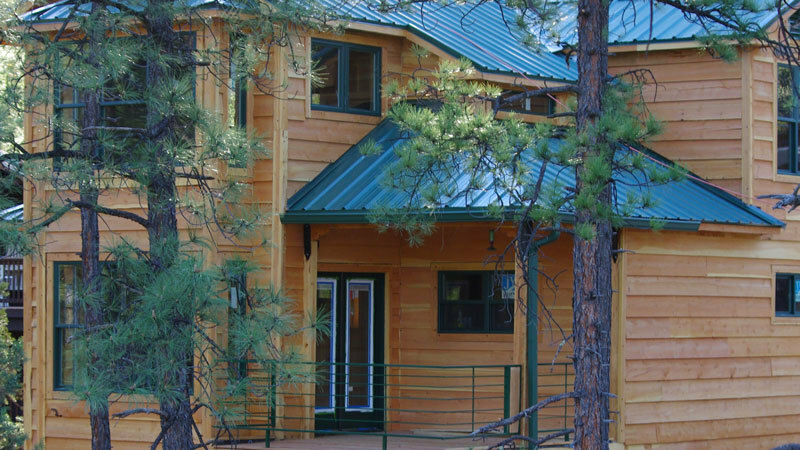 Take in all the Wildlife from the comfort of your private covered deck – humming birds and many other bird species frequent your feeder – Deer and Elk roam thru the property and surrounding area year round and in the warmer months the occasional Black Bear can be sighted. Take advantage of the beautifully appointed chef's kitchen or after dinner out settle in for the evening in front of the gorgeous fireplace. 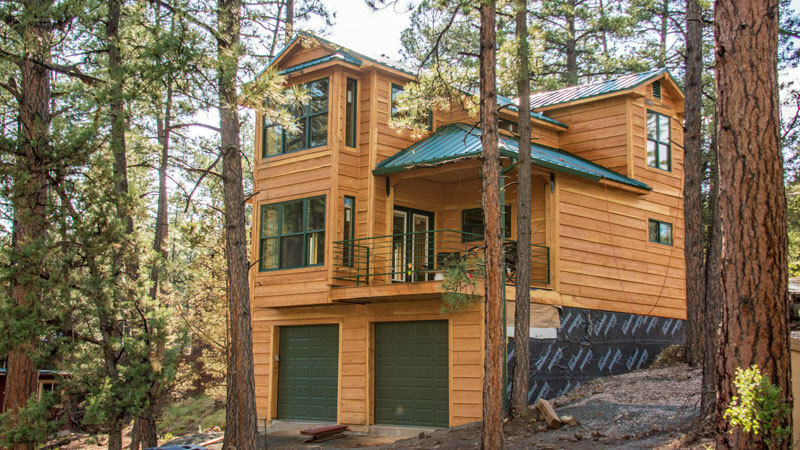 This cabin is in the perfect location in Ruidoso’s scenic and historic Upper Canyon – surrounded by the National Forest – but only minutes away from all Ruidoso has to offer.